All new limited companies will now need to state who the person with significant control of their company is when it is being formed. They will then have to keep a record of this (a register) as part of their compliance documents. Any changes to the person with significant control of a company will have to be recorded with Companies House. For existing companies, there has been a requirement to keep the paper register of PSCs since 6th April 2016. 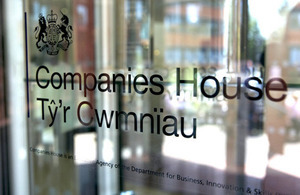 From 30th June 2016, there is also a requirement for Companies House to be notified of the person(s) with significant control for existing companies and to hold the registers which record who this is. The PSC for all limited companies will form part of the public record and will be available for anyone who wants to search it via the Companies House website. Why is the PSC register being introduced? Up until now UK limited companies have worked on a basis of transparency and trust. When a company is formed the directors and shareholders are listed on the public record and this information is available to anyone who wants it including tax authorities and people working to prevent money laundering. Unfortunately this system was fairly easy to get around. A popular tactic has been to use nominee shareholders and directors. Nominee shareholders and directors are people who put themselves down on paper as the director or shareholder of a company in order to hide who really owns and runs it. Because the nominee directors and shareholders are, on paper, running the company they will be the ones liable for tax and who will be investigated if money laundering is suspected. The new PSC rules seek to stop this practice as the person who is really behind the company will now have to be declared when it is formed. If you are forming a new limited company then you will have to declare who the person, or people, with significant influence or control is. If you are doing a company formation through The Company Warehouse then this is a simple tick box. Once the company is formed you will then need to put in place a PSC register document to record who the people with significant influence or control is. Again, if you do a company formation through The Company Warehouse we can provide this document for you as part of our compliance document packs. If you have an existing company then you will be expected to update Companies House to let them know who your people with significant influence or control are. You will also be expected to put the PSC documents in place and keep them on file. The Company Warehouse will be launching a service to do the PSC updates and documents for established limited companies in the next few days.